Blog SAATM New Insight: HOW FAR, HOW FAST? 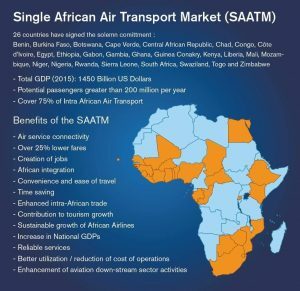 The Single African Air Transport Market (SAATM) was launched in January 2018 by African Union (AU) leaders to liberalize air services for operators within the continent, and thence redefine Africa’s approach to aviation and air transport development in Africa. To many, so far, the march towards liberalization of air transport in Africa has made some progress; but in terms of yielding the acclaimed benefits to Africa, the extent of this progress still remains hazy. 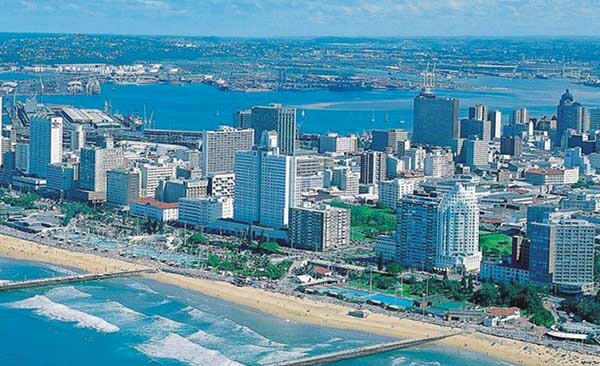 There is, however, widespread optimism that that single African sky concept is the best way to go, judging by its benefits to individuals, businesses and Africa’s economies. At a closer look, formidable efforts are on-going to get all States to sign the Solemn Declaration for the SAATM, as well as get all of Africa’s Regional Economic Communities (RECs) to sign a Memorandum of Cooperation with the African Civil Aviation Commission (AFCAC), which is the Executing Agency of the Yamoussoukro Decision (YD) and the SAATM. Chad, Central African Republic and Gambia recently added their strength to make the 26 States that have signed for the SAATM so far. But there is ever strong optimism for Africa-wide SAATM compliance before 2018 ends. All States acquiesce to the benefits of a liberalized air transport market in Africa, and actually want to enjoy such benefits. But 28 States are asking for more time to reassess expected benefits and how they will participate in the liberalized market. However, these are not unassailable reasons for keeping away from the SAATM. The taste of the pudding is in the eating, optimists of the SAATM say. Joining the SAATM will engender States to improve and streamline their infrastructure, policies and aviation businesses – including airports and airlines and Air Navigation Services Providers (ANSPs) much faster than just pondering on the sideline. Many believe that establishing the SAATM is one major decisive step Africa has taken to secure the future of aviation and air transport on the continent; and speed is now of the essence. Thus, the hard work now is to take another decisive step to bring the 28 States on-board as quickly as possible. Benin, Botswana, Burkina Faso, Cabo Verde, Chad, Central African Republic, Congo, Cote d’Ivoire, Egypt, Ethiopia, Gabon, Gambia, Ghana, Guinea, Kenya, Liberia, Mali, Mozambique, Niger, Nigeria, Rwanda, Sierra Leone, South Africa, Swaziland, Togo and Zimbabwe. The African Union Commission (AUC) and the African Civil Aviation Commission (AFCAC) are the key drivers of the SAATM, working with support from the International Air Transport Association and the African Airlines Association (AFRAA) and other regional groupings to ensure the quick success of the SAATM across Africa. Apart from the inadequate publicity of these laudable efforts so far, AFCAC, as the Executing Agency of the Yamoussoukro Decision (YD) and the SAATM, is limited by insufficient capacity and resources. It also faces the challenge of slow response from Regional Economic Communities (RECs) who are expected to coordinate and drive the acceptance and implementation of SAATM in their regions. Beyond that, RECs, in turn, face the difficulty of resolving the divided positions of stakeholders within individual non-compliant States. “When you talk to States, you find out that the issues are within national stakeholders and the positions are sometimes divergent. It makes our role as RECs very difficult,” says a senior REC official. For now, two RECs have signed the Memorandum of Cooperation with AFCAC to drive the SAATM in their various regions, while East African Community (EAC), the Common Market for East and Southern Africa (COMESA) and Inergovernmental Authority on Development (IGAD) have expressed readiness to sign. Focusing on individual States and the Heads of Government in the remaining States could bring greater success, as suggested by a stakeholder, who calls for the SAATM Champion State, Togo, AFCAC, the AU Chairperson and Chairperson of the AU Commission to step up engagements with non-compliant States. Col. Dokisime Gnama Latta, Director General of Togo Civil Aviation Authority, and key driver of the SAATM, continues to make frantic calls to non-compliant States to join the SAATM, echoing the intent of the Champion of the SAATM, His Excellency Mr. Faure Gnassingbe, the President of Togo. “Together, we will be very strong in aviation to improve connectivity, security, safety and economic development in Africa,” Col. Latta says. Mr. Papa Atoumane Fall, Acting Secretary General of AFCAC, wants all RECs to plan workshops before the end of 2018 to review and drive the SAATM forward in their region, as recently done by COMESA. Under the SAATM, air navigation services providers, regulators, airports and airlines in Africa are expected to revamp their operations and embrace cooperation overall, while States must adopt the reviewed YD Single African Air Transport Policy. Though some airlines and States see these tasks as challenges, essentially, beyond these tasks lie the huge benefits of SAATM. One of the key issues still not widely known or understood are the YD/SAATM Regulatory Instruments. Airlines and other stakeholders want to know these ground rules which AFCAC had worked hard to review and update over the past 5 years or more. Thus, there are efforts now to ensure the regulatory instruments of the YD are well publicized which will provide guidance for the successful implementation of SAATM across Africa. Stakeholders are optimistic that this could provide the conviction reluctant States and airlines need to commit to the SAATM. Mr. Kofi Henaku, CEO, Henson Geodata Technologies Ltd., says making the Policy readily available is vital for the SAATM and the industry. The SAATM has stated yielding benefits. The most remarkable development among African airlines is perhaps the move by Ethiopian to establish partnerships with various African States airlines to fortify the Ethiopian Airlines Group. Ethiopian draws strength from the SAATM to foster its Africa-wide multi-hub strategy as an early adaptor of the SAATM. 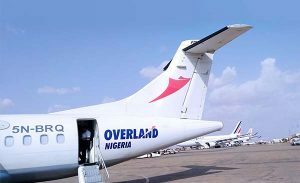 Airlines like Overland Airways have expansion programmes that have now matured into the SAATM regime, and are opening various destinations in West Africa including Niamey, Lome and Cotonou, and more. RwandAir, Air Namibia, Air Cote d’Ivoire and several others are fast expanding; while fastjet is strengthening its low-cost version of multi-hub airline strategy in Africa. In the East African Community, ANSPs, for instance, are implementing seamless operations, harmonizing procedures, operations, common secondary surveillance radar codes, developing MoUs and multilateral letters of procedures to ensure system interoperability. They are also engaged in sharing of aeronautical data, among other commendable efforts following a detailed implementation plan. Ghana is SAATM compliant. The newly launched Terminal 2 of the Kotoka International Airport, Accra and the adjoining Airport City challenge the mediocrity in airports development in the region, and for the first time attracted an A380 aircraft. There are more examples. In 2017, few States and one REC celebrated the YD Day. To create greater awareness and acceptance for the SAATM, more intensive celebration of the YD Day 2018 and beyond could be helpful. The EAC indicates willingness to incorporate the YD Day into its small committee meeting scheduled 13-16 November, 2018 in Entebbe, Uganda. AFCAC, according to Mr. Papa Atoumane Fall, Acting Secretary General of AFCAC, is to begin its capacity building programme soon. Industry observers believe AFCAC needs to be empowered with human and material resources to be able to carry out its mandates regarding execution of the SAATM and YD, as well as aviation training harmonization and safety initiatives in Africa. The SAATM requires a sustained strategic media outreach that outlines the progress and benefits achieved and what benefits lie ahead. This is mainly because some of those expected to drive SAATM in their regions or States are either unaware or disinterested in the initiative. The SAATM would deliver Africa’s future as widely believed. But first, SAATM must be delivered by African States, airlines and partners especially from within the continent. While a new crop of airlines, airports and other services will emerge in Africa in response to the SAATM, however, it may not be surprising that only States and businesses that are ready for the SAATM will flourish in Africa’s unfolding competitive air transport and economic environment. Echos du MUTAA: JUSQU’OU, A QUELLE VITESSE? Le Marché unique du transport aérien africain (MUTAA) a été lancé en janvier 2018 par les dirigeants de l’Union africaine (UA) afin de libéraliser les services aériens pour les exploitants du continent, et de redéfinir ainsi l’approche africaine du développement de l’aviation et du transport aérien en Afrique. Pour beaucoup, jusqu’à présent, la marche vers la libéralisation du transport aérien en Afrique a fait quelques progrès, mais pour ce qui est d’en retirer les bénéfices clamés par l’Afrique, l’ampleur de ces progrès reste encore floue. Cependant, l’optimisme est largement répandu quant à l’idée que le concept de ciel unique africain est la meilleure voie à suivre, à en juger par ses avantages pour les individus, les entreprises et les économies de l’Afrique. En y regardant de plus près, des efforts considérables sont en cours pour que tous les États signent la Déclaration solennelle du MUTAA, et que toutes les Communautés économiques régionales (CER) d’Afrique signent un Mémorandum de coopération avec la Commission africaine de l’aviation civile (CAFAC), qui est l’agence d’exécution de la Décision Yamoussoukro (DY) et du MUTAA. Le Tchad, la République centrafricaine et la Gambie se sont récemment ajoutés pour former le peloton des 26 Etats ayant adhéré auMUTAA à ce jour. Mais il y a toujours un fort optimisme qui pousse à espérer que l’ensemble du continent africain va rejoindre les rangs du MUTAA avant la fin de 2018. Tous les États reconnaissent les avantages d’un marché du transport aérien libéralisé en Afrique, et veulent effectivement en profiter. Mais 28 Etats demandent plus de temps pour réévaluer les avantages escomptés et voir comment ils vont participer à ce marché libéralisé. Cependant, ces raisons ne sont pas assez poignantes pour se tenir à l’écart du MUTAA. C’est au pied du mur qu’on reconnait le maçon, disent les optimistes du MUTAA. L’adhésion au MUTAA amènera les États à améliorer et à rationaliser leurs infrastructures, leurs politiques et leurs activités aériennes – notamment les aéroports, les compagnies aériennes et les prestataires de services de navigation aérienne (ANSP) – bien plus rapidement qu’en y réfléchissant en étant en marge. Nombreux sont ceux qui pensent que la création du MUTAA est une étape décisive majeure que l’Afrique a franchie pour assurer l’avenir de l’aviation et du transport aérien sur le continent ; et la rapidité est désormais de mise. Il s’agit donc à présent de franchir une nouvelle étape décisive pour que les 29 États restants adhèrent aussi rapidement que possible à l’accord. Afrique du Sud, Bénin, Botswana, Burkina Faso, Cap-Vert, Congo, Côte d’Ivoire, Égypte, Éthiopie, Gabon, Gambie, Ghana, Guinée, Kenya, Libéria, Mali, Mozambique, Niger, Nigeria, République centrafricaine, Rwanda, Sierra Leone, , Swaziland, Tchad, Togo et Zimbabwe. La Commission de l’Union africaine (CUA) et la Commission africaine de l’aviation civile (CAFAC) sont les principaux moteurs du MUTAA ; elles travaillent avec le soutien de l’Association du transport aérien international et de l’Association des compagnies aériennes africaines (AFRAA) et d’autres groupements régionaux pour assurer le succès rapide du MUTAA en Afrique. 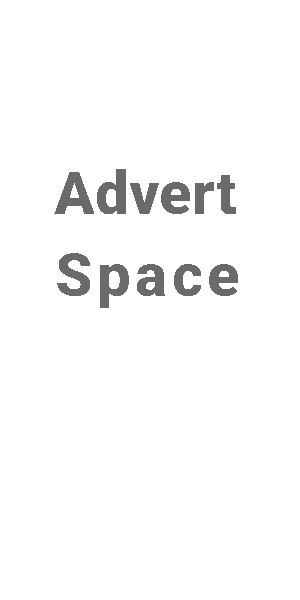 Outre la publicité insuffisante de ces efforts louables qui est faite jusqu’à présent, la CAFAC, en tant qu’agent d’exécution de la Décision de Yamoussoukro (DY) et du MUTAA, est limitée par une capacité et des ressources insuffisantes. Elle est également confrontée au défi de la lenteur de la réponse des Communautés économiques régionales (CER) qui sont censées coordonner et conduire l’acceptation et la mise en œuvre du MUTAA dans leurs régions. Au-delà de cela, les CER, à leur tour, sont confrontées à la difficulté de résoudre les antagonismes des parties prenantes au sein des États qui n’ont pas encore adhéré à l’accord. “Lorsque vous parlez aux États, vous voyez que des questions se posent au sein des parties prenantes nationales et que les positions sont parfois divergentes. Cela rend notre rôle en tant que CER très difficile “, dit un haut responsable d’une CER. Pour le moment, deux CER ont signé le Mémorandum de coopération avec la CAFCAC pour piloter le MUTAA dans leurs régions, tandis que la Communauté de l’Afrique de l’Est (EAC), le Marché commun de l’Afrique orientale et australe (COMESA) et l’Autorité intergouvernementale pour le développement (IGAD) se sont déclarés prêts pour la signature. En mettant l’accent sur les États pris individuellement et sur les chefs de gouvernement dans d’ autres États, on pourrait obtenir de meilleurs résultats, comme l’a suggéré une partie prenante, qui appelle l’État champion du MUTAA, le Togo, la CAFAC, le Président de l’UA et le Président de la Commission de l’UA à renforcer leurs engagements avec les États qui n’ont pas encore adhéré à l’accord. Le Colonel DokisimeGnama Latta, Directeur général de l’Autorité togolaise de l’aviation civile et principal moteur du MUTAA, continue de lancer des appels frénétiques aux Etats qui ne l’ont pas encore fait, pour qu’ils adhèrentau MUTAA, faisant ainsi écho à l’intention du Champion du MUTAA, Son Excellence Monsieur Faure Gnassingbe, le Président du Togo. “Ensemble, nous serons très forts dans le domaine de l’aviation pour améliorer la sûreté, la connectivité, la sécurité et le développement économique en Afrique “, déclare le Colonel Latta. Papa AtoumaneFall, Secrétaire général par intérim de la CAFAC, souhaite que toutes les CER planifient des ateliers avant la fin de 2018 pour examiner et faire avancer le MUTAA dans leur région, comme l’a récemment fait le COMESA..
En vertu du MUTAA, les fournisseurs de services de navigation aérienne, les régulateurs, les aéroports et les compagnies aériennes en Afrique sont censés réorganiser leurs opérations et adopter la coopération dans tous les domaines, tandis que les États doivent adopter la politique africaine unique du transport aérien révisée de la DY. Bien que certaines compagnies aériennes et certains États considèrent ces tâches comme des défis, en réalité, les immenses avantages du MUTAA vont bien au-delà de ces tâches. L’une des questions clés qui n’est pas encore largement connue ou comprise est celle des instruments réglementaires DY/MUTAA. Les compagnies aériennes et les autres parties prenantes veulent connaître ces règles de base à la révision et à la mise à jour desquelles la CAFCAC a travaillé fort au cours des cinq dernières années ou davantage. Il y donc des efforts qui sont actuellement déployés pour faire en sorte que les instruments réglementaires de la DY soient largement diffusés, ce qui donnera une orientation pour le succès de la mise en œuvre du MUTAA dans toute l’Afrique. Les parties prenantes espèrent fortement que cela donnera aux États et aux compagnies aériennes qui hésitent encore la conviction dont ils ont besoin pour s’engager dans le MUTAA. Kofi Henaku, PDG de HensonGeodata Technologies Ltd, affirme que la mise à disposition rapide de la Politique est d’une importance capitale pour le MUTAA et l’industrie. 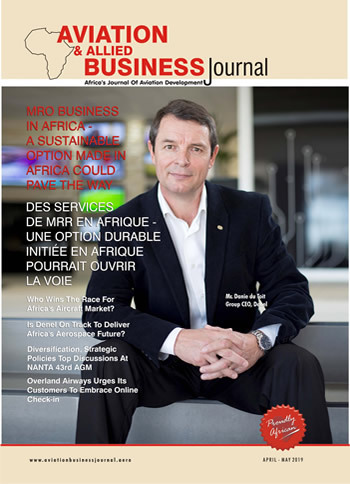 Des compagnies aériennes comme Overland Airways ont des programmes d’expansion qui ont maintenant mûri dans le régime du MUTAA et ouvrent diverses destinations en Afrique de l’Ouest, notamment vers Niamey, Lomé et Cotonou, et ailleurs. RwandAir, Air Namibia, Air Cote d’Ivoire et plusieurs autres compagnies aériennes sont en pleine expansion ; tandis que Fastjet renforce sa version de la stratégie des compagnies aériennes multi-hub à bas coût en Afrique. Dans la Communauté de l’Afrique de l’Est, les ANSP, par exemple,exploitent des vols sans interruption, harmonisent les procédures, les opérations, les codes communs de radar de surveillance secondaire, élaborent des protocoles d’accord et des lettres de procédures multilatérales pour assurer l’interopérabilité des systèmes. Ils sont également engagés dans le partage des données aéronautiques, entre autres efforts louables faisant suite à un plan de mise en œuvre détaillé. Le Ghana a adhéré au MUTAA. Le nouveau terminal 2 de l’aéroport international de Kotoka, à Accra, et la ville aéroportuaire voisine défient la médiocrité du développement aéroportuaire dans la région, et ont attiré pour la première fois un avion A380. On peut citer d’autres exemples. En 2017, quelques États et une CER ont célébré la Journée de la DY. Pour mieux faire connaître et accepter le MUTAA, il pourrait être utile d’organiser une célébration plus étoffée de la Journée de la DY en 2018 et au-delà. L’EAC indique qu’elle voudrait incorporer la Journée de la DY dans sa réunion en petit comité prévue du 13 au 16 novembre 2018 à Entebbe, en Ouganda. Selon M. Papa AtoumaneFall, Secrétaire général par intérim de la CAFAC,la CAFAC doit commencer prochainement son programme de renforcement des capacités. Les observateurs de l’industrie estiment que la CAFAC doit être dotée de ressources humaines et matérielles pour être en mesure de remplir ses mandats comme agent d’exécution du MUTAA et de la DY, et pour l’harmonisation de la formation aéronautique et des initiatives de sécurité en Afrique. Le MUTAA a besoin d’une forte campagne médiatique stratégique qui souligne les progrès et les avantages réalisés ainsi que les avantages à venir. Cela s’explique principalement par le fait que certains de ceux qui sont censés conduire le MUTAA dans leur région ou leur État ne sont pas au courant de l’initiative ou ne s’y intéressent pas. Le MUTAA assurera l’avenir de l’Afrique comme on le croit largement. Mais le MUTAA doit tout d’abord être mis en œuvre par les États, les compagnies aériennes et les partenaires africains, en particulier ceux de l’intérieur du continent. Une nouvelle génération de compagnies aériennes, d’aéroports et autres services va sûrementémerger en Afrique à la suite duMUTAA ; toutefois il ne sera peut-être pas surprenant de voirque seuls les États et les entreprises qui seront prêts pour le MUTAAprospéreront dans l’environnement concurrentiel du transport aérien et de l’économie qui est en train de se mettre en place en Afrique.